A dried squid arm? A plastic who-knows-what? A monster? 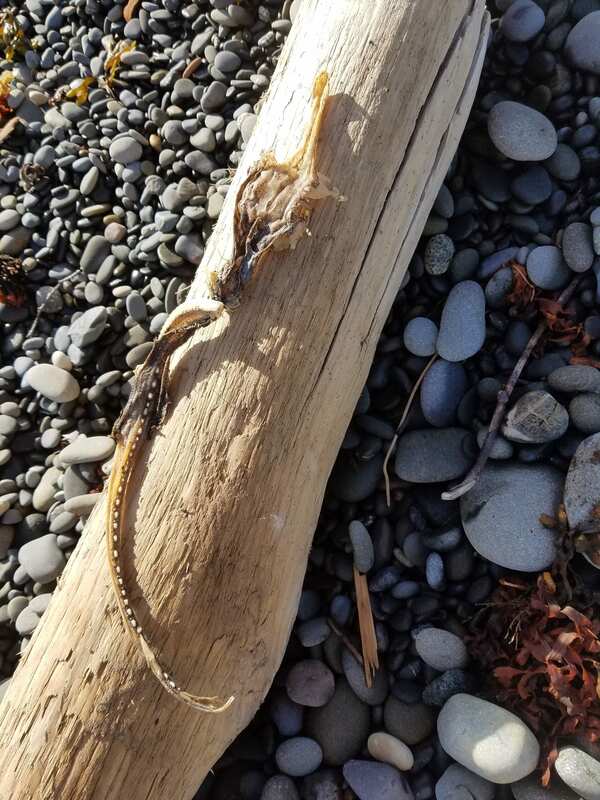 COASSTer Maddie Rose sent in this intriguing photo from Rialto Beach, WA with a “got a clue?” question. The long, spiny appendage in this photo is actually the tail. 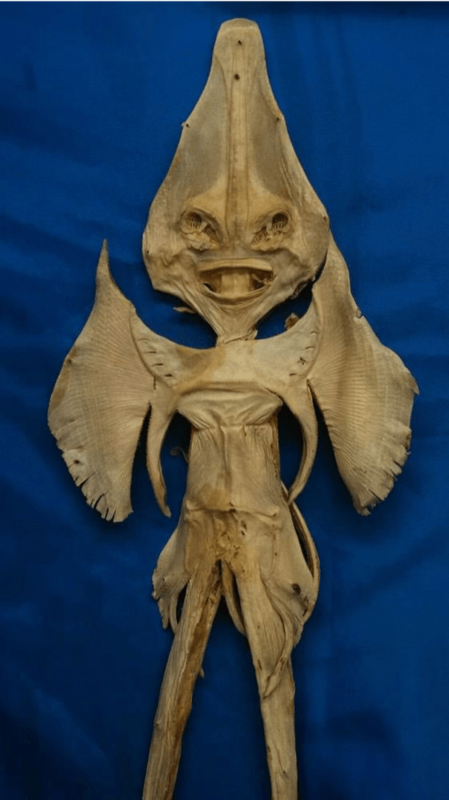 What looks like a skull with an elongated beak is the body and shriveled nose, or more properly rostrum, of the skate; probably a long-nosed skate according to Fish Collections Manager Katherine Maslenikov. The wings of this fish are long gone. 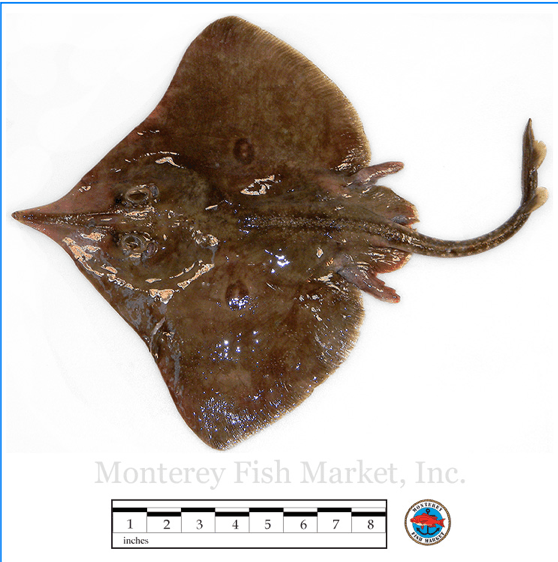 Longnose skate (Raja rhina), photograph from Monterey Fish Market. Skates are slow-growing, bottom-dwelling fish that make their living “flying” just above the sandy substrate, occasionally digging in to “pounce” on a buried shrimp, crab or small fish. In a twist of fate, the egg cases of these fish are known as a mermaids purse. 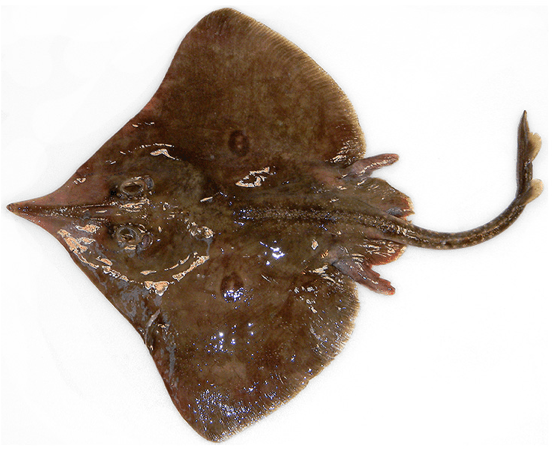 Turns out one of the weirder ways skates and rays have been used by people is as curiosities. These cartilaginous fish, related to sharks, were flipped over and “shaped” into gruesome likenesses of imagined sea devils or maybe evil-looking mermaids. After being dried out and shellacked they were sold in port cities and seaside towns as far back as the 16th century. The origins of the name are obscure, but some articles reference jeune fille d’Anvers which translates as girl from Antwerp. Intentionally fishing and drying out sea creatures as tourist trinkets, whether sea stars, sea horses or Jenny Hanivers, has fortunately fallen out of fashion. 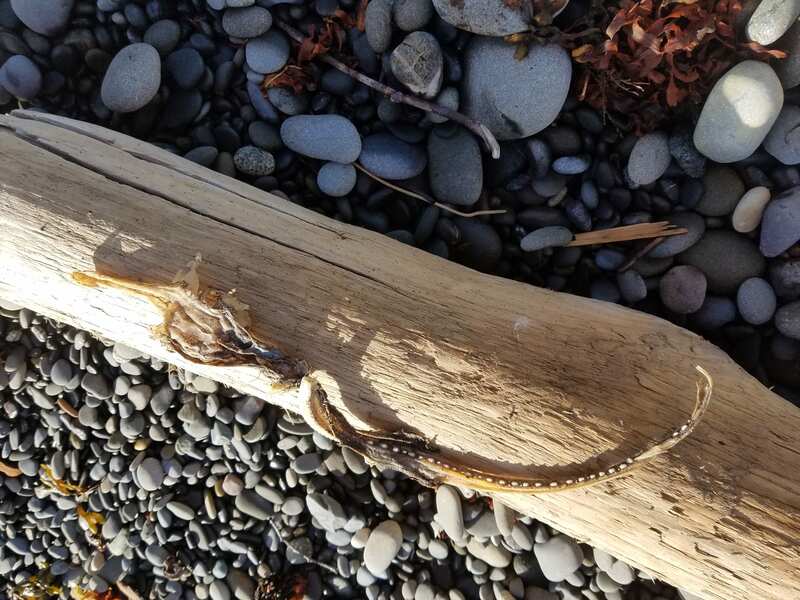 But beach combing is still a great way to come upon all sorts of interesting bits and pieces brought in on the tide and tossed ashore by a wave to dry in the sun. This entry was posted in Uncategorized and tagged North Coast, Skate, Washington on July 23, 2018 by coasst.